I love History and I love learning things I had no idea about before…… and I think that if schools taught REAL stories, the real stories behind the books then I would of done a whole heck of a lot better in school. (for real) This Free State of Jones seems like a really big deal but yet it took a movie to teach me. 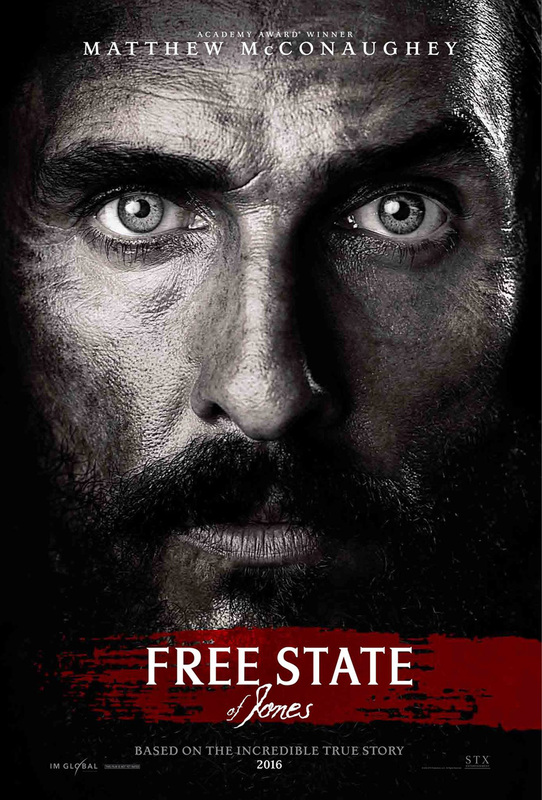 So he created a FREE state of Jones, literally. The true story is the best part of this movie because it is incredible. How did it translate to film?? Slowly, thats how. This movie was very long and very slow but my enjoyment of the story kept me into it. Honestly this is a renter but please rent this. Watch it with your High Schoolers and you will all learn and be entertained. Matthew was amazing and when they show you what Newton Knight really looked like the resemblance is amazing. I am glad I saw this but sadly it wasn’t as good as it could have been.